For over 75 years, Westerbeke has been offering durable and reliable power solutions to meet the challenges of commercial and recreational marine applications. Manufacturer of diesel and gasoline fueled generators and diesel propulsion engines, Westerbeke products offer quiet operation, low vibration, long service life and superb value. Marine Electric Technologies is Westerbeke certified. We sell, service and warranty-repair all Westerbeke Marine Engines and Generators. 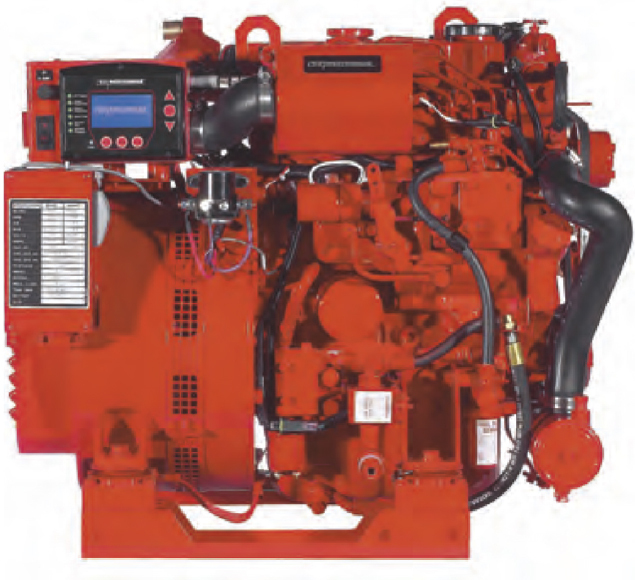 Call us at 705-259-2628 today to discuss your engine and generator needs. With standard Westerlink™ or optional NMEA 2000® compliant databus communication. Committed to maintaining our position as industry leader, Westerbeke introduces D-NET™ diesel generators with digital electronics and the first NMEA 2000®-compliant databus communications. Westerbeke marine diesel generator sets are available from 5.5kW up to 33.0kW at 60 Hertz and 5.0kW up to 26.0kW at 50 Hertz. Provides boat builders and owners a much more efficient wiring option, since all NMEA 2000® components can connect to a single cable, saving on cost and weight, while simplifying and speeding installation. Feature digital controls for easy, intuitive operations. Scrollable digital displays provide clear, detailed information and diagnostics with LED lights that allow at-a-glance monitoring of important functions. These 3 & 4-cylinder marine diesel generators feature electronic governing to virtually eliminate “droop” when electrical loads are applied. the entire system can be mounted inside an optional with stainless-steel base and framed enclosure with powder coated aluminum panels for the ultimate in “silent” marine generator power. Marine Electric Technologies © 2019.